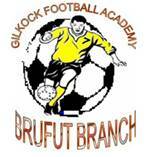 The Brufut base Gilkock Football Academy over the weekend received football materials from long time donors Jaap and Anne. The materials include two sets of jerseys, football boots and socks for the junior teams. Jaap have been coming to the Gambia on holiday and since then they’ve been helping Gambian children in paying their school fees but since they get to know the academy they’ve been donating to the academy annually. Apart from the academy the couple also sponsor a local team in Brufut named after the place were the couples come from LUTJEBROEK. Delivering the materials to the academy Jaap expressed delight to be part of the sponsors of the academy and was quick to commend the efforts of the coaches and pray that the academy produces players to represent the Africa in the international scene. On her part Anne promise to continue helping the academy and hope that the academy one day attains its goals. Bubacarr Boris Demba who spoke on behalf of the academy congratulated the donors and promise that the materials will be put into good use and strengthened the fact that one day the community of Brufut will boast of great talents from the academy. After the official handing over ceremony, Lutjebroek FC lock horns with the academy to entertain the spectators and the donors. A game in which three players that traveled with Jaap and Anne played for Lutjebroek. In a similar development the academy also receive from the manageress Berried Lobster of SCANAID Nursery and Senior Secondary School. The materials include a fully equipped First Aid Box and some football materials. Receiving the materials for the academy Mr. Alieu Sanneh, goal keepers trainer thank the donors and hope that they continue to help the academy and also promise that the materials will be properly utilize to attain desired goals. 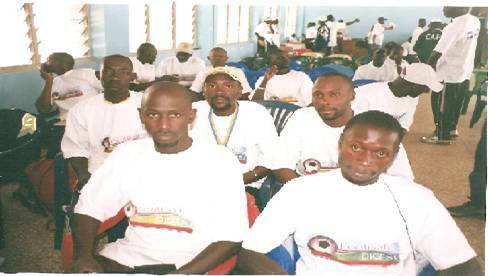 Seven coaches of Gilkock Football Academy, Brufut Branch benefitted from the training program jointly organized by The Gambia Football Coaches Association and Sweden Football Coaches Association and sponsored exclusively by Football Digest, a weekly sports Newspaper. Five of these coache Buba .K. 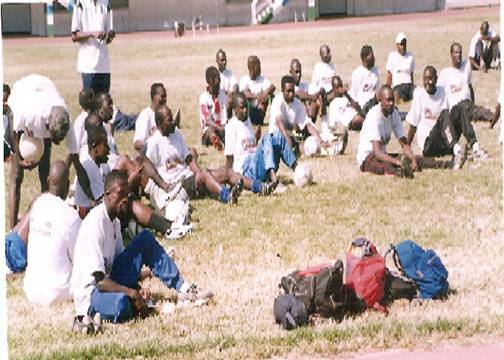 Jallow Technical Director, Bubacarr Boris Demba, Sang Mendy, Alieu Sanneh and Malick Jatta all coaches were among a host of coaches trained on football psychology, technical as well a tactical training Whilst Momodou Bojang and Ebrima benefited from the program mend to develop youth coaches and physical and health teachers on basic football coaching. According to Buba .K. Jallow, the academy is faced with a host of talents and therefore needs trained personnel’s to develop the raw talents of these kids. Ask whether the training will have any impact on the academy. 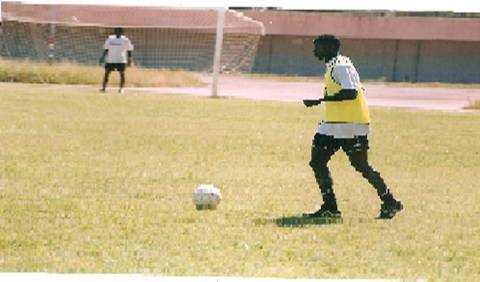 Jallow said ‘as the entire coaching staff of the academy is destined to see football in Brufut rise to higher height the training will go a long way. All other coaches expressed delight over the training and wish that such programs are constantly repeated. Sang Mendy the Public Relations officer called on the coaches of the Brufut Base academy to be prepared to help the host of talents in Brufut to achieved desired goals.the course director were Pa Fofana a Gambian national based in Sweden, Gaj who was the delegation leader, and two female coaches Maria and Anita.